Victoria's Port Phillip Heads have been extremely hazardous for ships, from the first recorded wreck in 1840 until the present. The treacherous currents, hidden reefs and narrow channels of Port Phillip Heads have contributed to the demise of over 200 vessels of all types, ranging from small coastal schooners to large iron steamers. The wrecks of Point Lonsdale, Point Nepean and the Back Beaches, are frequented regularly by Melbourne divers by boat and from the shore. "Shipwrecks Around Port Phillip Heads"
This book is a comprehensive scuba diver's guide to locating the wreck sites, and a description of what remains will be found. For the non-diver, the accounts of each ship's history, and the circumstances of her sinking, are a fascinating insight into our turbulent maritime history. The P&O liner Australia (aka Australia RMS) was one of the most luxurious vessels afloat when launched in 1892. On the 20 July 1904 while entering Port Phillip Heads she went aground on Corsair Rock. In 1911, the remains of the Australia were blasted to clear a channel between Corsair Rock and Big Rock. The remains of the ship are scattered and badly brocken up. Her huge propeller shaft and overgrown engines remain, and her boilers are easily identifiable. Built in 1892 in Greenock, UK, the overall length of the vessel was approximately 141.91 metres (466 feet) with a beam 15.91 metres (52 feet). Australian National Shipwreck Database: R.M.S. Australia. Depth: 5 to 8 m.
The history of the Black Boy is linked with that of the George Roper. The steam screw tug was assisting in the salvage of cargo from the George Roper on 8 July 1883 when several big swells slammed the tug onto the George Roper. The skipper tried to move away but a line fouled the Black Boy's propeller. She was swept onto a nearby reef, broke up and sank. The Black Boy lies east of the George Roper, just off the southern tip of Mushroom Rock. The hull is overturned and the remains of machinery and fittings can be seen. The site of the Black Boy is more exposed to the Rip's tidal currents than the George Roper and Holyhead. Best dived on slack water ebb or ebb tide. Built in 1857 in Greenock, UK, the overall length of the vessel was approximately 24.84 metres (81 feet) and beam 4.57 metres (15 feet) giving a displacement weight of 45 tonne (50 short tons). Australian National Shipwreck Database: Black Boy. Iron screw steamer tug, 66 ton. Dive only on: SWE, Ebb. 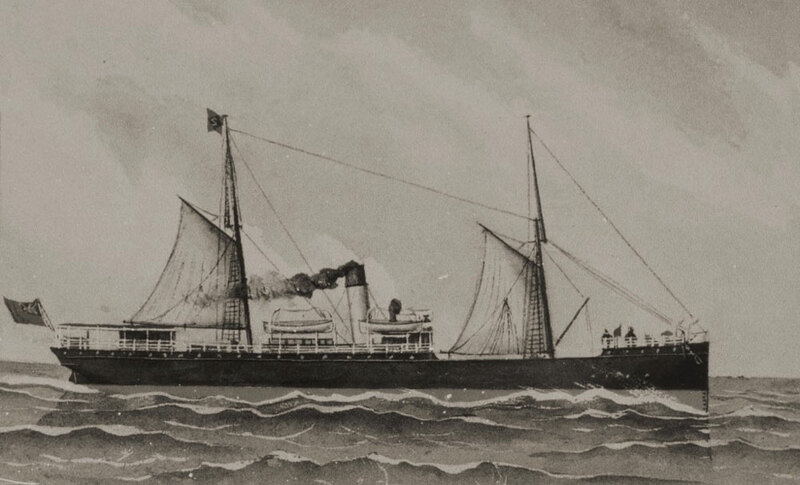 The screw steamer SS Cheviot (aka Cheviot), was a typical coastal trading passenger and cargo steamship. 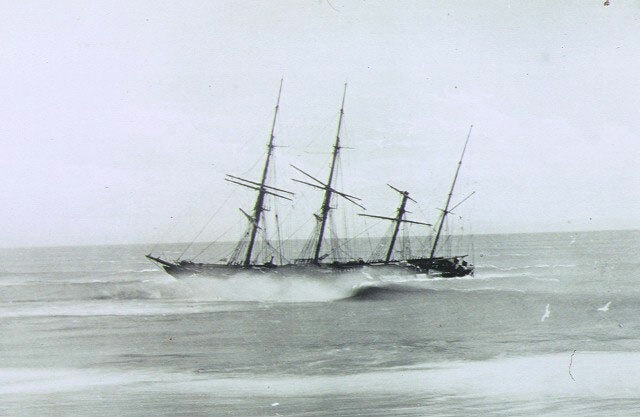 On her way to Sydney on 19 October 1887, she had barely cleared Port Phillip Heads when her propeller blades were sheared off against the rocks which left her floundering. The efforts of the captain and crew to regain control failed in the heavy seas. The wreck site is highly prone to surge and turbulance. The wreckage is widely scattered as a result of the terrible beating it gets from the weather, plus from blasting operations undertaked in the 1960s by divers obtaining scrap metal. Built by Charles Mitchell and Co., of Low Walker, Newcastle upon Tyne, England in 1870, she was wrecked in 1887 in rough seas near Point Nepean in Victoria, Australia, after the propeller was disabled. The overall length of the vessel was approximately 70.15 metres (230 feet) and beam 9.8 metres (32 feet) giving a displacement weight of 1,226 tonne (1,351 short tons). Heritage Victoria slide collection on flickr: Cheviot. If you're looking for the Cheviot wreck in Waterloo Bay at Wilsons Promontory, please see Cheviot. The Clarence was a sailing schooner built in 1841 on the Williams River in northern NSW and used to transport livestock and cargo. On 2 September 1850, the Clarence ran aground on a sand bank in Port Phillip Bay while transporting 132 sheep from Melbourne to Hobart. The Clarence lies on a sandy seabed in 5 metres (16 feet) of water. On a good day the wreck is clearly visible from the surface. The outline of the vessel is clear apart from the starboard side of the stern which is buried. The port side of the ship from bow to stern, and from keel to deck level is almost complete. The paired frames used as the framework for the hull can be seen poking out of the sand and outline the shape of the wreck. At the time of its wrecking the Clarence was used to transport sheep. Part of the Baltic pine decking used to accommodate the animals can be seen at the stern on the hull. There is a 100 metres (328 feet) radius Protect Zone with access by permit only. Anchoring is prohibited. 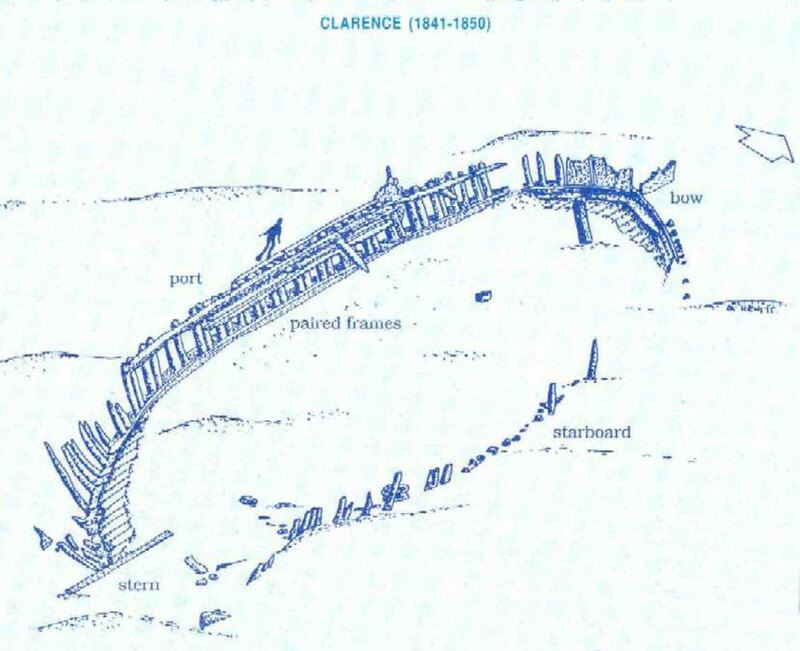 The Clarence is significant technically and archaeologically as an example of an early Australian-built vessel. The schooner was built in 1841 on the Williams River in northern NSW. 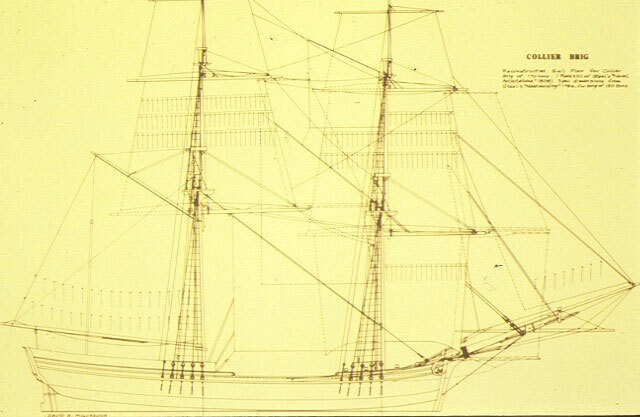 Most ships built in Australia during this time were constructed by rule of thumb, without using models and plans. There is very little evidence, therefore, of ship building techniques used by early Australian ship builders, except in the archaeological record. By studying the Clarence, archaeologists can learn more about the techniques employed by early Australian shipbuilders, to whom supplies in lumber and metal fastenings were tightly restricted. Dive Information Sheet: Clarence (1841-1850) (Adobe PDF | 225.49 KB). Built: Williams River, NSW, 1841. The Conside is historically significant for being the earliest screw steamer wreck in Victoria, was the first purpose built steam collier, was the first screw steamer to travel between Sydney and Melbourne, and is likely to have been the first steamship across the Pacific. It is archaeologically and technically significant for the remains of its early geared oscillating steam engine. Heritage Victoria slide collection on flickr: Conside. The wreck of the Craigburn is archaeologically significant for its remains of a typical 19th century iron sailing barque. As a dive site set amongst typically spectacular Mornington Peninsula underwater topography and marine life, it also has recreational and educational significance. Iron Barque steamer, 2065 ton. The Eliza Ramsden, a three masted iron sailing barque with a clipper bow, is one of Victoria's most spectacular shipwreck sites, and thus has both recreational and educational significance. It is archaeologically significant as relics of cultural significance, including a small ship's bell, have been found on the site. 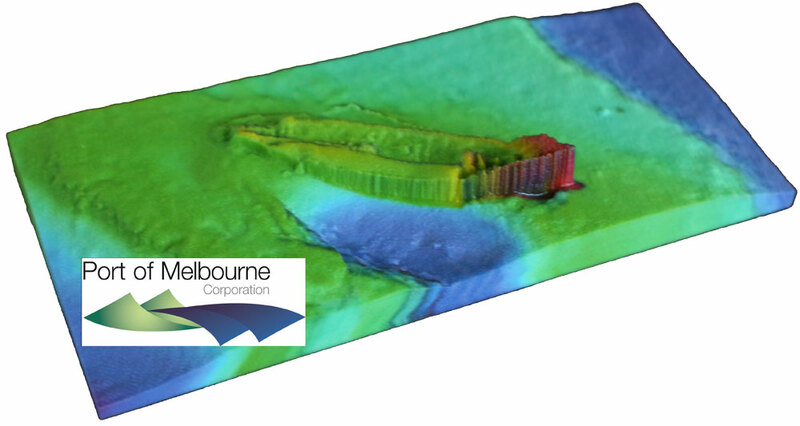 The Eliza Ramsden shipwreck lies upright and quite badly broken up, quite close to the South Channel in Port Phillip. She sits on the seabed facing east west with her bow to the west. The donkey boiler is still visible. The clipper bow collapsed in the 2010s but the hull plating and some of the decking along the starboard side of the vessel is still in place. Much of the port side decking has collapsed, probably as a result of the explosives used to clear the site in the early 1960s. The Eliza Ramsden is a great dive for Open Water divers, and also gives photographers ample time to capture that special wreck diving shot. The Eliza Ramsden has a great deal of marine life, including soft corals and bright yellow zooanthids. Common reef fish found around the wreck include blue devils, old wives, boar fish, wrasse and cuttlefish. Deck supports, called stanchions, There are still some small artefacts in the bow of the ship, however they are covered over by gravel, shells and sand. There is a concrete plinth displaying a plaque with the details of the wreck on it. This Eliza Ramsden site should be dived only at slack water and a shipping check with the Point Lonsdale Lighthouse must be conducted first. 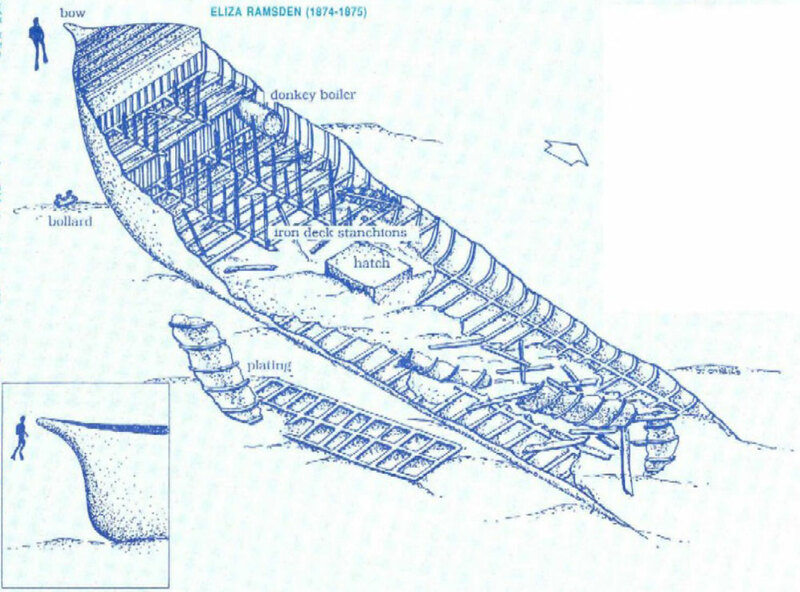 Because the wreck is so close to the shipping channels, charter boats often schedule dives on the Eliza Ramsden, but often have to mode to different dive location due to shipping. Consider yourself very lucky if you actually get to dive on this shipwreck. Ramsden Reef can be found nearby. It extends North East from the stern for about 75 metres. On the reef can be found Large Leatherjackets, Sweep, Trumpeter, Trevally and Blue Devil fish. Gorgonian corals and crayfish can also be found under the ledges. Ramsden Reef slopes at about a 60 degree angle down to a sandy bottom and undercut caves are present in parts. The Eliza Ramsden was regarded as the finest vessel of the Port of Melbourne in 1875, built for Melbourne businessman Samuel Ramsden and named after his wife. The vessel was only one year old when at the start of a voyage from Melbourne to Newcastle it ran aground and was trapped on Corsair Rock and badly damaged. The owner's son was the only passenger aboard with the 13 crew. The ship was evacuated by a lifeboat sent by the steam tug Warhawk when it was assessed that it would go down once the tide rose. Most personal effects were left on board. When the tide rose, the vessel floated off Corsair Rock, drifted back into Port Phillip and eventually sunk near the South Channel on 24 July 1875. For many years the mast of the Eliza Ramsden remained above sea level and so she wasn't a real danger until her masts finally collapsed in the 1960's. She was then deemed to pose a danger to vessels using the channel, and her masts were demolished with explosives to ensure that shipping traffic was not impeded. Built by Barclay Currie & Co in Whiteinch, Glasgow, Scottland in 1874 The overall length of the vessel was approximately 46.21 metres (152 feet) and beam 8.23 metres (27 feet) giving a displacement weight of 415 tonne (457 short tons). The Eliza Ramsden was of a similar construction to the James Craig that was built during the same period. The James Craig has been restored, and is operational as a tourist attraction in Sydney. She is one of only four operational Barques from the 19th Century still capable of sailing. Dive Information Sheet: Eliza Ramsden (1874-1875) (Adobe PDF | 336.81 KB). Three masted iron barque, 46m, 515 ton. The Empress of the Sea was a magnificent three masted, square rigged, wooden sailing clipper ship built in Boston, USA. The Empress of the Sea is historically and archaeologically significant as it was one of Donald Mackay's famous wooden clipper ships, i.e. representative of a particular design or type. It was also associated with both the Black Ball and White Star Lines of Australian Packets, which carried thousands of immigrants from Britain to Australia. The Empress of the Sea lies in 5 metres (16 feet) to 7 metres (23 feet) of water, 700 metres (2,297 feet) offshore from Nepean Bay, Port Phillop. The site covers an area 150 metres (492 feet) long and 50 metres (164 feet) wide. The bow lies towards the south-west. Two large mounds of bluestone ballast rock (rounded river rock) lie to the north and south of the site. Protruding from these mounds are paired hull frames, remains of outer hull planking and the protective copper sheathing of the ship's hull. 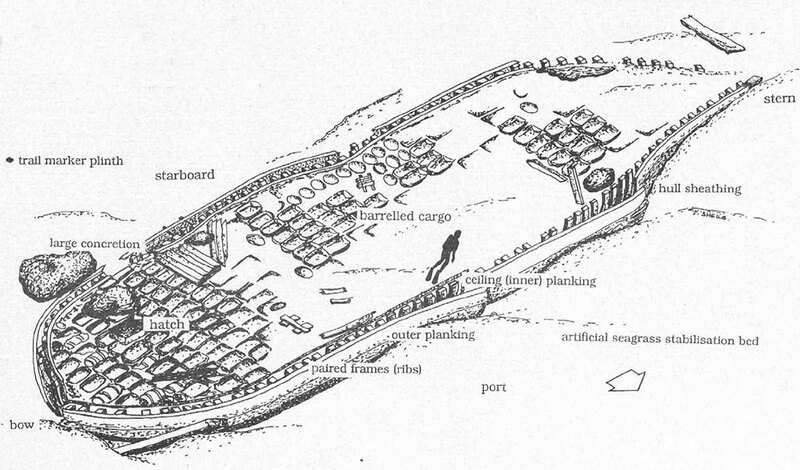 Near the middle of the site, divers can see three large rectangular iron tanks and the ship's keel. Approsimately thirty-five metres forward of the tanks divers can see a large chain mound, another iron tank and an a nchor marking the bow of the ship. There are also a few iron buckets at the bow. An information plinth put on the site by the Maritime Archaeology Unit can be found on the starboard side of the wreck adjacent to the three water tanks. The site can be subject to strong tidal flow and divers should consult a tide book for Port Phillip before diving. As the wreck site is large and spread out, a good way of exploring the wreck is on a drift dive, however care must be taken because of the site's proximity to the Heads. The Empress of the Sea caught fire at Queenscliff at 4 am on 19 December 1861. When the officer of the watch attempted to extinguish the fire they found fire pump handles missing and buckets ineffective. Fire became out of control and the ship was sailed from anchorage and ran ashore at Point Nepean. Ship rolled over onto starbouar side by force of the tide and the shifting ballast. The port side was burnt to the copper. 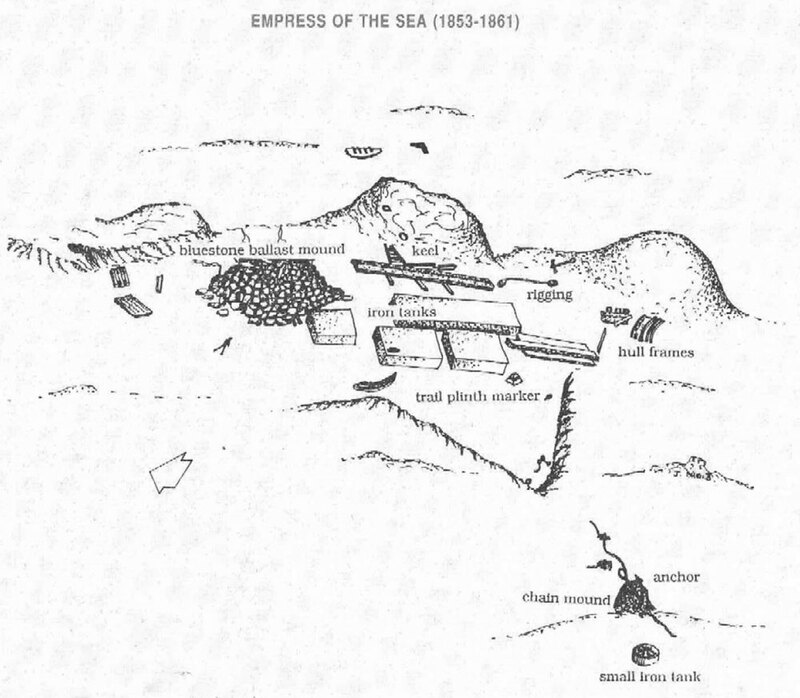 Dive Information Sheet: Empress of the Sea (1853-1861) (Adobe PDF | 621.06 KB). 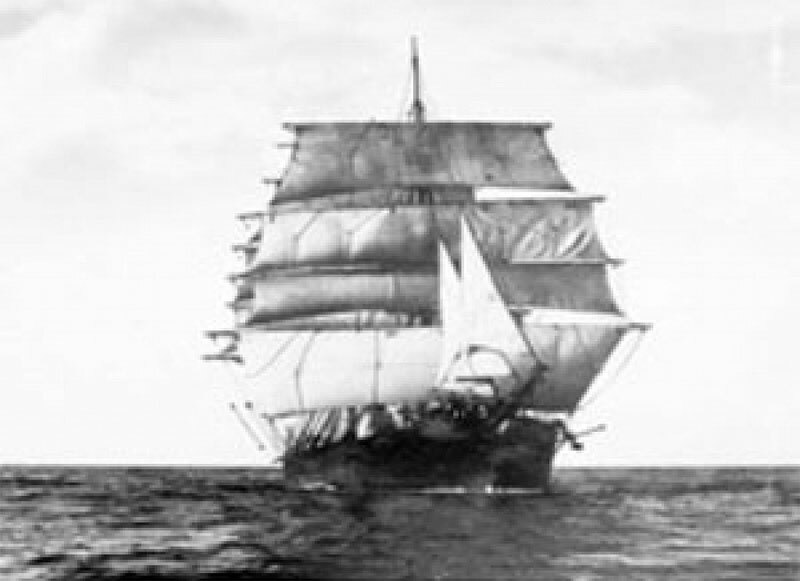 Three masted square rigged wooden clipper, 2200 ton. Dive only on: SWF, SWE, Flood. The Formosa was on its maiden voyage from Glasgow when it was wrecked at Port Phillip Heads. The captain and pilots were both found to be at fault by a Board of Inquiry. Formosa, which lies at the Portsea Back Beach, 3 miles east of Point Nepean, is historically significant as a rare Australian example of the technical innovation of Thomas B. Seath's shipbuilding. The vessel has interpretive significance as an example of Rutherglen shipbuilding techniques and an historic shipwreck site. The archaeological significance still needs to be determined, however there is potential for significant wreck remains to reveal further aspects of Seath's technical innovations and social life aboard vessels such as these. The Formosa shipwreck is on an extremely rough section of Point Nepean. it is often dificult to find when shifting sands cover its remains, plus difficult to dive. Originally the Ocean, the vessel was renamed the Gambier in 1888. Had an expensive re-fit 1885 for work as passenger ship. On 28 August 1891 the Gambier had entered the heads and was in the West Channel. When signals were misunderstood, the Gambier was run down by the Easby. Up to 21 lives were lost, particularly as one life boat capsized during launch. Explosives were later used to flatten the wreck and the site is frequently covered in sand. Because of the shifting sands and tides, the Gambier is a rather hit and miss dive. It's made even more marginal because of its proximity to the path of the car ferry from Sorrento to Queenscliff. Built Dunbarton, Scotland in 1874, sunk on 28 August 1891, the overall length of the vessel was approximately 85.34 metres (280 feet), beam 9.72 metres (32 feet) and draught 7.01 metres (23 feet) giving a displacement weight of 1,029 tonne (1,134 short tons). The Gange is historically and socially significant for the interest its wreck caused in the Victorian community, and the impact the event had on Victorian Pilots Service. Australian National Shipwreck Database: Gange. The George Roper was a four master iron sailing barque built to carry cargo. It is archaeologically and historically significant as an example of a large, fast, international trader built especially for the Australian run. The wreck lies in 4 to 6 metres of water, and is accessible to recreational divers. 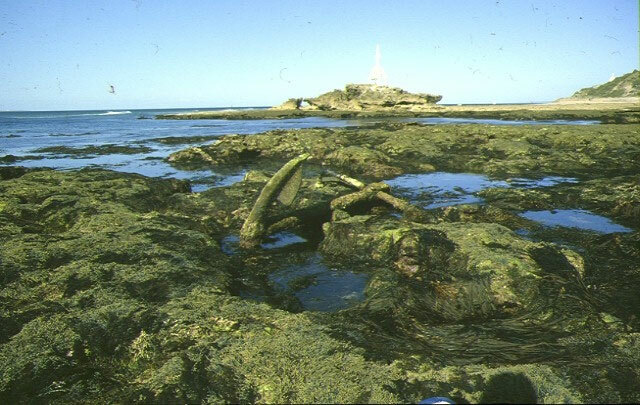 The George Roper lies in shallow water, 4 metres (13 feet) to 6 metres (20 feet), with its bow facing into Point Lonsdale Reef. The 66 ton steamer Blackboy, used in the salvage of the vessel, lies nearby. The wreck of the George Roper extends for over 83 metres (272 feet) from the large anchor winch at the bow, to the rudder which lies seaward of the Lonsdale Reef. 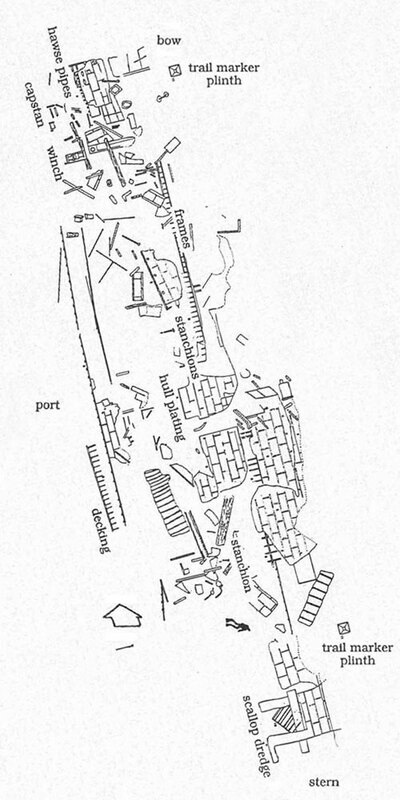 The lower portion of the hull, beloe the bilge line, lies semi-intact with the ship's keelson, side keelsons and bilge keelsons clearly visible for most of the the wreck's length. At the bow, one of the ship's large winches is offset to the portside of the wreck. A hawse hole can be seen among the hull plating on the starboard side of the vessel. Parts of the rigging such as masts, yards, backstays and deadeyes lie among the hull remains. A lifting davit lies at the stern with a bollard and bit nearby. Divers should also be able to see the rudder standing upright towards the port side of the wreck. Fragments of cargo including slate, ceramic pieces and clay pipes are strewn about the wreck. The remnants of iron and other debris around the wreck have become home to many different species of reef fish. The wreck has also been colonised by masses of kelp and other seaweed, making this a very colourful wreck dive. This is a tidal site and best dived at slack water at the end of the ebb tide. On its maiden voyage from Liverpool, the four masted barque George Roper was met by headwinds at Bass Strait, about 8 miles off Port Phillip Heads, and was taken under tow by the steam tug Williams with Pilot Gifford in charge on 4 July 1883. Conditions suddenly worsened, and the Williams had veered too far west in heavy fog. Both the Williams and the George Roper struck Lonsdale Reef, with the tug making water so fast that it had to go up the Bay at once for repairs. As the fog lifted, it was discovered that George Roper was stranded in one of the most dangerous and inaccessible parts of the reef, immediately opposite the green light at Point Lonsdale. Attempts to float George Roper off the reef failed. The barque's Captain and crew were transferred to Albatross and taken to Queenscliff. After 2 days the underwriters sold the wreck at auction to a Melbourne syndicate. After recovering considerable cargo, the syndicate sold the wreck to a Geelong syndicate which continued to recover cargo for some months. On 26 August, the George Roper finally broke up and sunk. 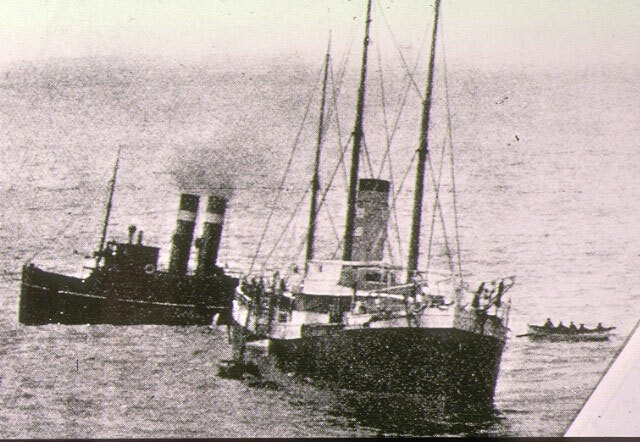 The tug Black Boy, one of the vessels commissioned to salvage George Roper, also hit the reef after its trailing cable became entangled in its propeller. The crew of the Blackboy was saved, but the tug sunk. The George Roper was built in 1882 for W.T. Dickson and Son in the W.H. Potter and Son shipyard in Liverpool. 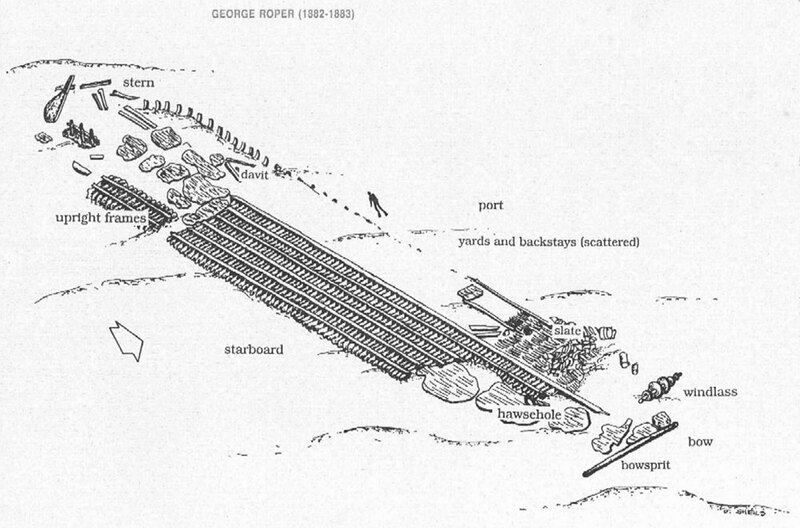 George Roper was specifically designed for fast sailing and bringing large consignments of cargo to Australia. It was launched on 10 February 1883, and almost immediately was struck by the steamer Bentinc. The damage to the George Roper was a 17 foot gap from the taffrail to near the waterline, and repairs had to be made before its voyage to Melbourne. It was carrying soft goods, draperies, household items, spirits, dynamite, and 1,400 tons of steel rails for the Victorian Government when it was towed into the reef. The Captain was John Ward, supported by 31 crew. Dive Information Sheet: George Roper (1882-1883) (Adobe PDF | 624.31 KB). 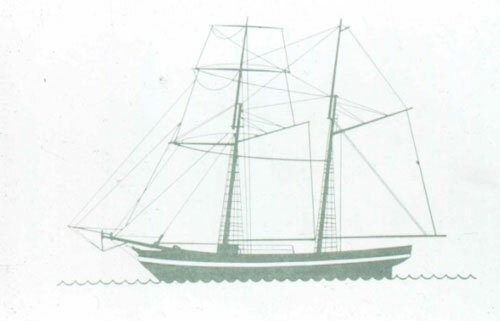 Four masted iron barque, 2033 ton. The Glaneuse is significant historically as the wreck of a large European built iron hulled sailing barque. The wreck resulted in intense scrutiny on the pilot service and a Public Enquiry resulting in changes to pilotage operations. The Glaneuse is rarely dived due to its location in the surf line making diving uncomfortable and dangerous on all but the rarest of totally calm days. She lies about 120 metres west of the George Roper, close in to the shore. 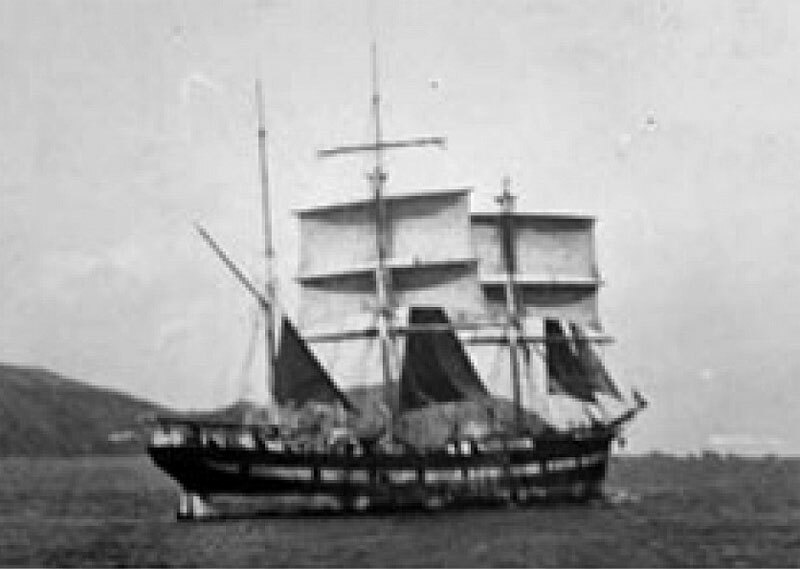 Australian National Shipwreck Database: Glaneuse. The HMAS Goorangai (aka Goorangai, MV Goorangai) is historically significant as the first Royal Australian Navy surface vessel lost with all hands, Australia's first naval loss of World War II, and the first Royal Australian Navy surface vessel lost in a war. The entire ship's complement consisting of three officers and twenty one sailors (twenty four in total) were killed in the tragedy, with only six bodies recovered, of which five were identified. Blasting operations in January 1941 reduced the remains of the Goorangai to large and small sections of steel plating which protrude from the sandy seabed. A small cylindrical boiler (2 m x 3 m) is lying on the northern end of the site. Broken machinery and boiler sections are scattered around the site, and occasionally wartime relics can be seen. What little remains is of little interest to wreck divers, with heavily overgrown wreckage, however the fish life is generally prolific. The remains cover approximately 200 square metres of the seabed, and a considerable length of hull plating stands proud of the sand to a height of about two metres. The remains of the hull have been colonised by a diverse assemblage of colourful encrusting organisms, such as bryozoans, sponges and soft corals. This in turn provides an ideal habitat for both free swimming and sedentary fauna, including many fish species, cuttlefish, sea horses, nudibranches and starfish. The abundance and variety of marine life, in association with the shipwreck, makes the HMAS Goorangai a popular destination for sport divers. The Goorangai lies in the South Channel and is subject to shipping, which also means anchoring is prohibited. Diving on slack water is a must. The Goorangai was built for the NSW Government at the State Dockyard, Newcastle in 1919. 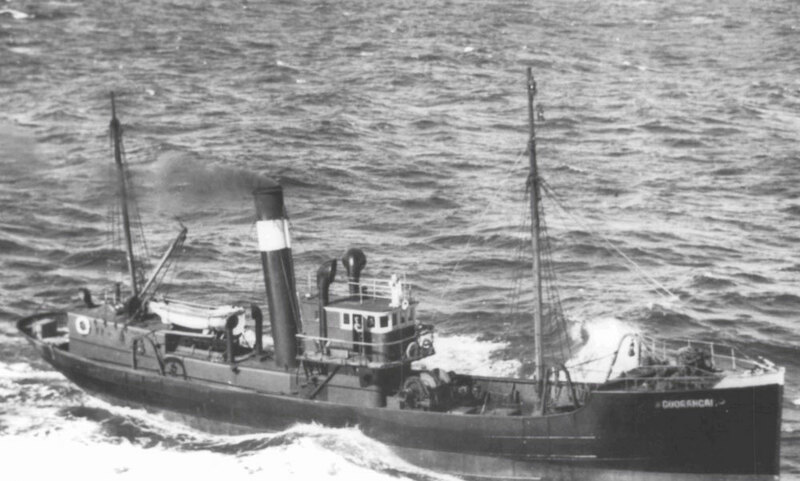 It was sold to Cam and Sons in 1926 and refitted as a fishing trawler. The Goorangi was one of thirty five privately owned vessels requisitioned by the RAN as auxiliary minesweepers. She was commissioned as the HMAS Goorangai for service as an auxiliary minesweeper. 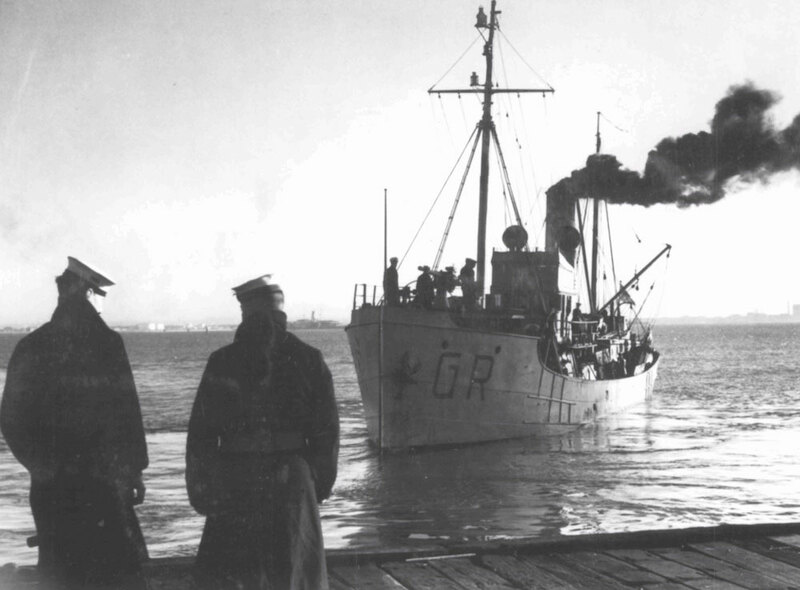 Following the sinking of the SS Cambridge and MV City of Rayville in Bass Strait by German mines on 7 and 8 November 1940 respectively, three minesweepers including the HMAS Goorangai were ordered to the sweep the shipping lanes and approaches to Port Phillip, and within a fortnight were able to locate and destroy forty mines. While crossing from Queenscliff to Portsea without lights, the HMAS Gorrangai was struck forward of the funnel by the outward bound troopship MV Duntroon which was leaving for Sydney loaded with troops. 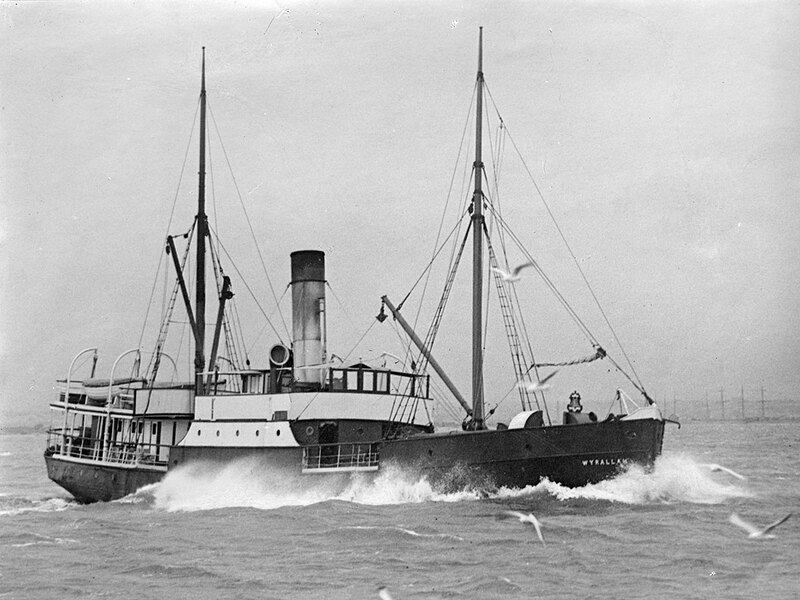 The Goorangai was cut in two and sank in less than a minute in the approaches to the South Channel. Wartime security prevented the Duntroon from heaving to or switching on searchlights to look for survivors. However, the Duntroon did lower lifeboats, fire rockets, and sound three blasts on the whistle to alert the residents of Queenscliff. When the lifeboat Queenscliffe reached the scene of the disaster the crew found the minesweeper sunk in about 15 metres of water with only the tops of the masts visible. Despite an extensive search for the HMAS Goorangai crew of 24, only six bodies were recovered. The minesweeper HMAS Goorangai has the tragic distinction of being all at once Australia's first naval loss of World War II, the first Royal Australian Navy surface vessel lost in a war, and the first Royal Australian Navy surface vessel lost with all hands. The Goorangai is a designated war grave and should be treated with respect. Built as a 'Castle' type steam trawler based on a North Sea design in Newcastle, NSW, sunk on 20 November 1940, the overall length of the vessel was approximately 35.66 metres (117 feet), beam 6.74 metres (22 feet) and draught 4.17 metres (14 feet) giving a displacement weight of 223 tonne (246 short tons). Because the HMAS Goorangai wreck lies in the main shipping channel and was considered a hazard to navigation, she was demolished with explosives in January 1941. The remains of the wreck are very scattered. Heritage Council Victoria: HMAS Goorangai. ex HMAS Goorangai, Steam driven minesweeper. Depth: 13 to 15 m.
The Holyhead is historically and archaeologically significant as an example of an A1 classified ship from a renowned Liverpool shipyards, R. J. Evans and Co, Liverpool, England, which was built in 1889 and wrecked on its maiden voyage. 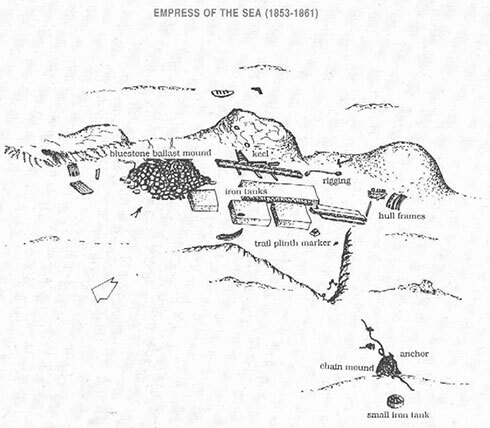 The wreck of the Holyhead lies to the west and seaward of Point Lonsdale Reef, near the George Roper. The wreckage extends for approximately 100 metres. At the stern divers can see the ship's steering gear including the ships rudder and rudder post. The rudder has broken in two: an upright portion survives with the remainder of the rudder blade, post and steering gear lying on the site to the port side of the shipwreck. The is also some iron hull plating scattered around this part of the wreck site. Along the bottom of the wreck, the ship's floors, the keelson, side keelson, frames and iron hull plating can be seen. Divers swimming between midships and the bow should find a stack of slate and railway iron, remains of some of the ship's cargo. Towards the bow, just beyond the winch, the wreck becomes much more scattered and extends for another 36 metres with mast stumps, a mast cap, yards, windlass, hull structure and a bollard. A significant feature of the site is the windless. On the starboard side of the wreck more slate cargo lies scattered in a hole in the reef. The site is in an area of heavy surge. It is a highly oxygenated white water zone. There is strong surge on the site. As this site is tidal. it's best to dive between the end of the ebb and start of the flood tide. The Holyhead was sailing from Liverpool to Melbourne on its maiden voyage, a new A1 classified ship intended for the India trade. After an uneventful voyage from Liverpool, the Holyhead was wrecked about 3.30 pm on 12 February 1890, very near the George Roper wreck. The ship had signalled unsuccessfully for a pilot, and eventually ran in towards land. Warned by lookout, missed stays, anchors let go, but struck and jammed on reef. Within 10 minutes 7 ft of water was in hold. The lookout station at Queenscliff summoned a lifeboat which in heavy swell against tide reached wreck at 4.45pm. Two trips removed the crew except for two who stayed on board. 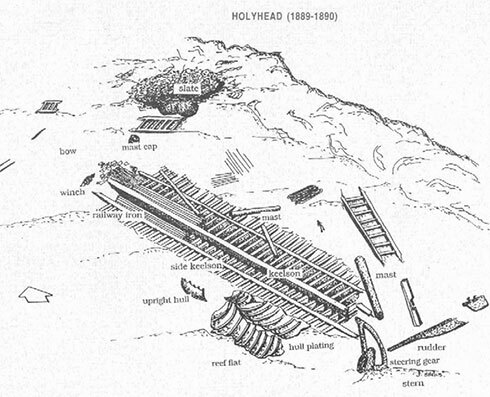 Dive Information Sheet: Holyhead (1889-1890) (Adobe PDF | 669.91 KB). Four masted iron barque, 2237 ton. Depth: 6 to 10 m.
The Hurricane was a three masted, iron, clipper sailing ship with raised decks built in Scottland. She was one of the very first iron clippers to be built and also reported to be one of the fastest ships on the Australian run — completing the journey from England in around 80 to 90 days. She was designed to carry both passengers and cargo. She sank off Arthur's Seat in Capel Sound on the 22 April 1869. The remains of the Hurricane lie in 9 metres (30 feet) to 12 metres (39 feet) of water off shore from Rosebud, Port Phillip. The shipwreck lies on a seabed of sand, silt and shells. The Hurricane wreck was relatively intact until the late 1960s when Ports and Harbours engineers considered it to be a navigational and hazard blasted it. The wreckage is spread over a large area, with the most prominent feature now the stern, which rises about 3 metres (9.8 feet) out of the sand. The Hurricane shipwreck site is covered with steel plates, girders, and wooden beams. A small section of the stern stands off the seabed and is the most intact part of the ship. Near the bow, a large capstan is visible, amidst a complicated mass of twisted metal. An observant diver will notice star pickets protruding from the bottom. These were placed by the Victorian Archaeological Survey when it mapped the site. A concrete cairn outlining the history of the Hurricane has been placed near the stern. As with most wreck sites, the Hurricane forms an artificial reef, which is now home to many fish, as well as other forms of marine life. This makes for an enjoyable dive and the keen diver can usually find a good number of scallops close to the wreck. As this wreck is popular with fishermen during the snapper fishing season, it is important to be alert for boats and fishing lines. Despite being several kilometres from the Heads, the Hurricane is only dived at slack water. The Hurricane is a declared Historic Shipwreck and so the removal of any materials is strictly prohibited. The Hurricane was built for the Australian run until lost. On first return voyage, carried gold exports from Melbourne to London. The ship took on water, possibly through the hawse holes during the last part of its voyage, and was heavily laden with cargo. It scraped the ground twice near Point Lonsdale, but no notice was taken. Shortly after it was noticed that the ship was dropping by the head. 6 feet of water was found in the forehold. The sail was shortened and starboard anchor let go. The boats were lowered and crew and passengers put into them. She sank off Arthur's Seat in Capel Sound on the 22 April 1869. The Hurricane was built on the River Clyde, Kelvinhaugh, Scotland by Alexander Stephen and Sons Ltd in Front Yard 3, and, was launched on the 26th April 1853. The overall length of the Hurricane was approximately 215 feet (66 metres) and beam 31 feet (9.4 metres) giving a displacement weight of 1,108 tonne (1,221 short tons). Dive Information Sheet: Hurricane (1853-1869) (Adobe PDF | 538.67 KB). Three masted iron clipper, 1200 ton. Depth: 8 to 12 m.
The Isabella Watson, which lies on Nepean Reef, is historically significant as an example of an emigrant ship from the UK to Port Phillip. Its archaeological significance lies in the remainder of the ship's cargo that is associated with the wreck and has the potential to reveal information about mid C19th material culture. It is historically and socially significant for its association with the ongoing debate surrounding the Port Phillip Pilot Service, and for its association with 9 deaths. Heritage Council Victoria: Isabella Watson. The Joanna was a small Victorian built wooden sailing schooner used to transport lime within Port Phillip. It's the best preserved and earliest known example of a Victorian built sailing ship located in Australian waters. The Joanna is located one a half kilometres from shore on the Western Bank of the West Channel, between Swan Island and St Leonards. The shipwreck lies on sand in two to seven metres above the sea bed. The Joanna's cargo of bagged lime, which has now turned into concrete, can still be seen. Divers visiting the wreck often see stingrays living between the lime bags. The weight of the cargo has pinned down the hull and preserved it under the sand along with ship fittings and crew possessions. On the south side of the wreck site remains of the ship's rigging, the anchor chain and rope can be seen. An information plinth has been placed on the site. The site of the Joanna is very exposed to weather from the north and south. It should only be dived at slack water. There is a 100 metre radius Protected Zone around the Joanna with access by permit only. Anchoring is prohibited. The two-masted wooden sailing schooner Joanna was built in 1856 at Rye, Victoria, Victoria specifically for work in the Port Phillip lime trade. She was 46 feet (14 metres) long, with a beam of 15 feet (4.6 metres) and draught of 7 feet (2.1 metres). The vessel's frequent berthing at Lime Wharf on Yarra, implies lime as the main cargo. The Joanna had a brief career lasting only one year before it sank in a heavy gale. 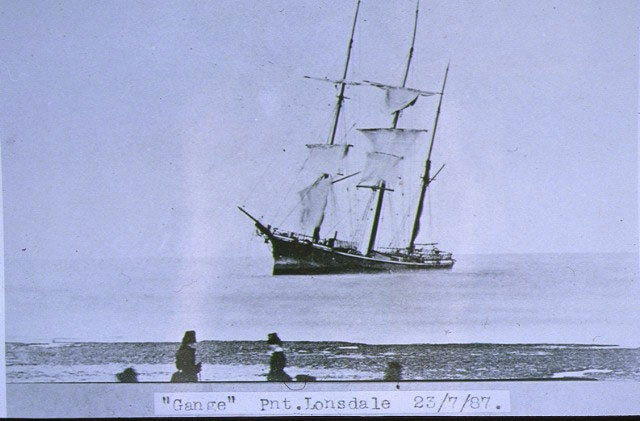 The Joanna was driven from anchors onto west bank of the Channel on 9th July 1857. The ship sank soon after. Salvage efforts failed, and the ship became a total loss. Only mastheads remained above water. 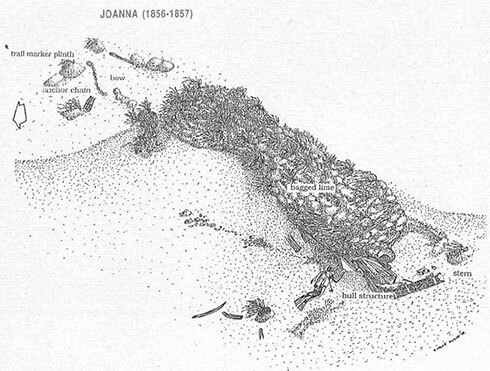 Dive Information Sheet: Joanna (1856-1857) (Adobe PDF | 596.47 KB). 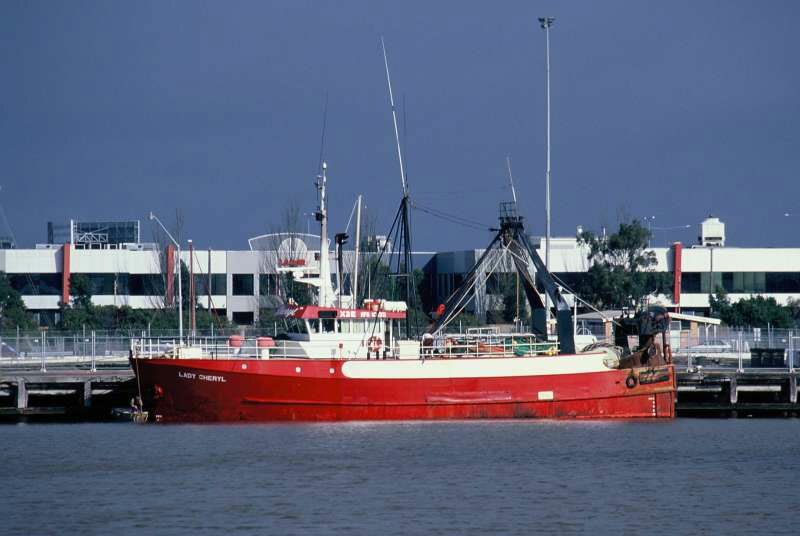 On the evening of 23 March 2012, the commercial fishing vessel FV Lady Cheryl departed Williamstown for a 10 day deep sea fishing voyage. It was intended that the vessel transit Port Phillip Bay, depart through Port Phillip Heads and then set a course for the fishing grounds to the west of Tasmania. However, in the early hours of the following morning when abeam Shortland Bluff (Queenscliff) and still within Port Phillip Bay, the Lady Cheryl altered course towards Point Nepean. The master did not notice the error and Lady Cheryl ran aground on the outlying reef at Point Nepean. The vessel was holed below its waterline and sank a short time later. There is a huge gash along the starboard side giving access to the internals of the wreck. Sunk on 23 March 2012, the overall length of the vessel was approximately 8.35 metres (27 feet) with a beam of 2.41 metres (7.9 feet). See also, Heritage Council Victoria: Lady Cheryl. Depth: 6 to 14 m.
The Light of the Age is archaeologically significant as the wreck of an international immigrant ship with an inward bound cargo. It is historically significant for its association with both the Black Ball and White Star Lines which carried thousands of immigrants to Australia. Heritage Council Victoria: Light of the Age. Mountain Maid was a small two-masted wooden snow brig built as a trading vessel in Dundee, Scotland in 1841. In its first 12 years, the ship traded between Europe, North America and the Orient and at one point was thought to possibly be involved in smuggling. In 1853, Mountain Maid was sold and began trading between the new Australian Victorian colony and Southeast Asia. Returning from Manila in 1856 with a cargo of rice, sugar and rope. Mountain Maid was wrecked after colliding with the Victorian steamer, SS Queen. No lives were lost but the ship sank quickly and the crew was forced to swim for their lives. The pilot onboard Mountain Maid was dismissed from the Pilot service, as he'd already run two other ships aground before changing direction and causing the collision with SS Queen (Lomdahl 1992:Mountain Maid). MAAV members discovered the remains of the wreck in 1981 and protection was declared in 1986. There have been wreck inspections and surveys completed in 1984 and 1991 and the vessel is part of the Underwater Shipwreck Discovery Trail (Lomdahl 1992). Thirty-nine artifacts are listed in the EMU database. Some artifacts in the collection include a barometer scale, glass bottles and pieces of ceramic. 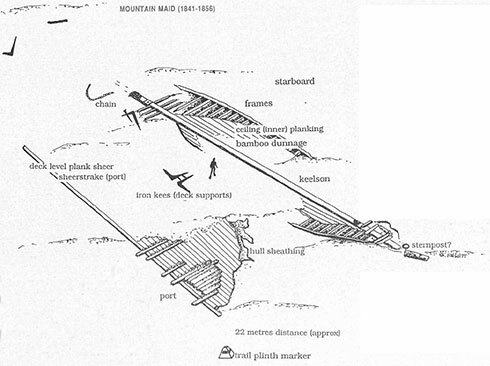 The Mountain Maid is archaeologically significant for its remains of a British built international trading vessel of the mid-nineteenth century. 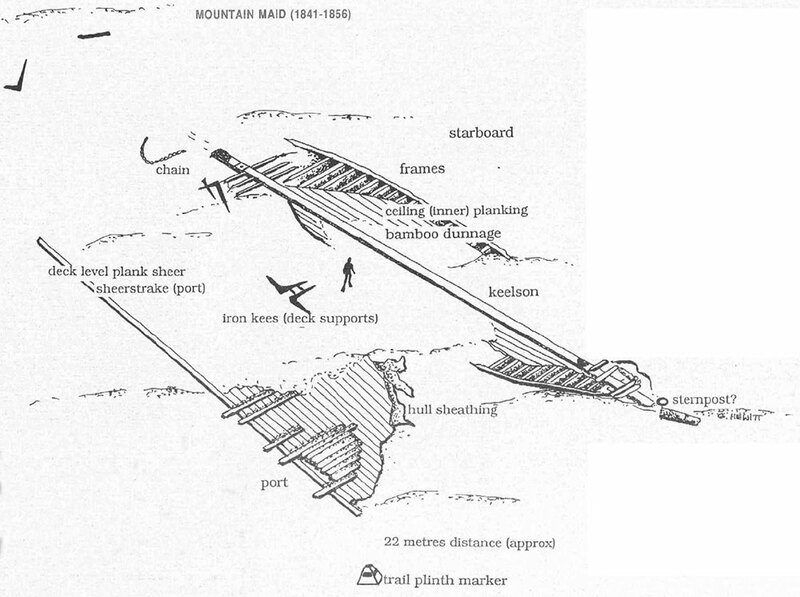 Dive Information Sheet: Mountain Maid (1841-1856) (Adobe PDF | 502.39 KB). Wooden hulled 2 masted Brigantine. 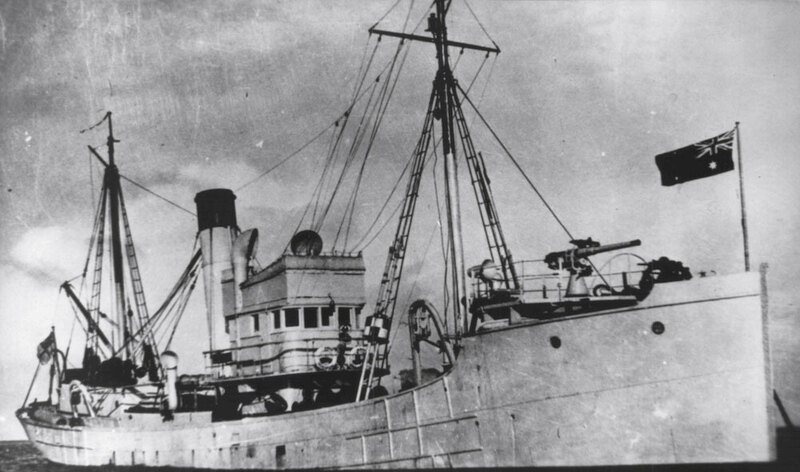 The Petriana is significant historically as a shipwreck that became a focus in Australian politics for the treatment of its Lascar (Indo-Malay) crew under the White Australia policy. It was also Victoria's, and Australia's first oil spill, with catastrophic environmental consequences. The remains of the SS Petriana represent the increasing use of fuel oils, and the use of specially made bulk oil transport ships. Heritage Council Victoria: SS Petriana. Portsea Hole Wreck is a 13 metres (43 feet) fishing boat that was sunk near Portsea Hole as a dive site in the early 1980s. Authorities objected to the sinking, claiming that it constituted a hazard to navigation, although it's had to see how given its depth of 26 metres (85 feet). The wreck is located about 70 metres (230 feet) past the eastern end of Portsea Hole. The wreck is covered with sponges and other growth, which has attracted many fish. Dive only at slack water. You should dive at flood slack, so when the tide turns, the ebb flow will assist your return to Portsea Hole. Depth: 25 to 27 m.
Sierra Nevada is historically significant and representative of a small group of large iron-hulled international cargo sailing vessels wrecked on Victoria's west coast. Sierra Nevada has some social significance as the events surrounding the wreck and its aftermath represented extreme ends of the local community's social values. As part of the group of iron-hulled trading vessels wrecked on the west coast, Sierra Nevada's cargo helps makes up part of the picture of the particular tastes of Victorian society and economy in the late 19th century. Sierra Nevada has broken up and is scattered over a large area at the Portsea Back Beach, Point Nepean, Port Phillip Heads. There is potential for archaeological significance through typology studies of cargo materials providing reference information for other areas of historical archaeological research. Scientifically, Sierra Nevada can contribute to corrosion studies as an iron hulled vessel carrying iron cargo. 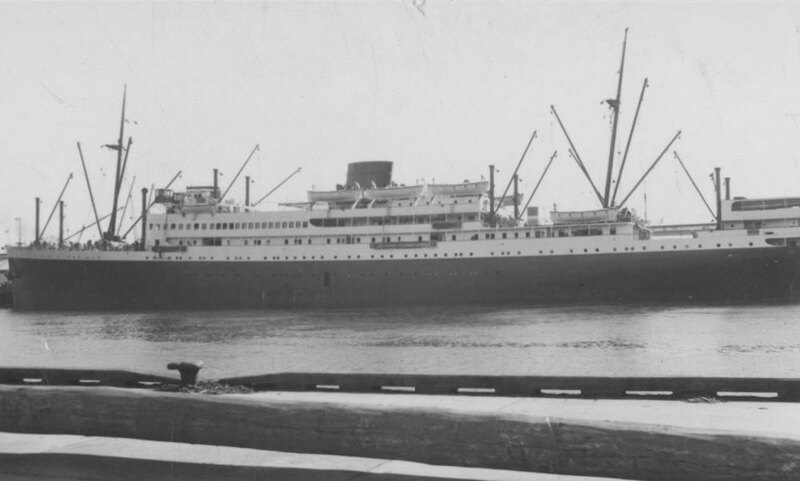 The SS Time was on a voyage from Sydney to Melbourne on 23 August 1949 when the steering failed and the vessel struck Corsair Rock attempting to enter Port Phillip. She lies on Nepean Reef, Port Phillip Heads. Heritage Council Victoria: SS Time. The Wauchope (aka SS Wauchope) was built for the NSW north coast trade, and from 1910 worked Bass Strait, between King Island, Launceston and Melbourne. Newspaper reports at the time of the fire on board the SS Wauchope give the impression that the ship was totally destroyed. But, there is still enough of the wreck on the seafloor to make this an interesting and worthwile dive. The site extends for 41.5 metres (136 feet) in length. The wreck has an extensive growth of seaweed on and around it and is home to a large population of fish including stingrays. 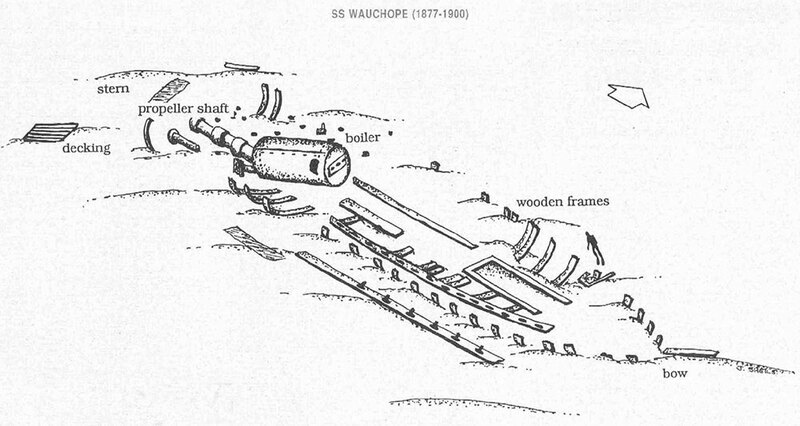 The SS Wauchope's boiler is the largest feature of the site. In the bow area there is good definition of the hull shape and remains of wooden ribs protrude from the sand. The keelson can be seen extending along the length of the bow, from the deck framing to the boiler. Remains of the propeller shaft and blades can still be seen at the stern along with a small ampunt of coal. Wooden railing, decking and more of ship ribs can also be observed at the stern. Broken green champagne bottles and black glass whiskey bottle necks, together with concrete bags lie on the Sorrento side of the hull. The boiler of the Wauchoope is exposed at high and low water and can be seen from Sorrento boat ramp. The wreck lies in shallow water and is best to dive on flood slack for maximum visibility. 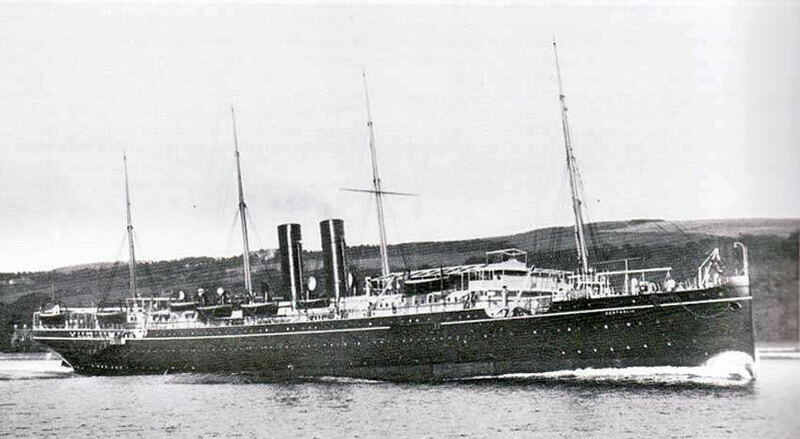 The Wauchope was in mandatory 7 day quarantine due to 'flu epidemic'. Manned by 'loyalist' (non-union) crew, due to bitter seamen's strike. Fire broke out in forward hatch, benzine later exploded after vessel abandoned. Beached but drifted onto sandbank on 1 August 1919 off Sorrento in Port Phillip. Dive Information Sheet: SS Wauchope (1877-1900) (Adobe PDF | 489.14 KB). 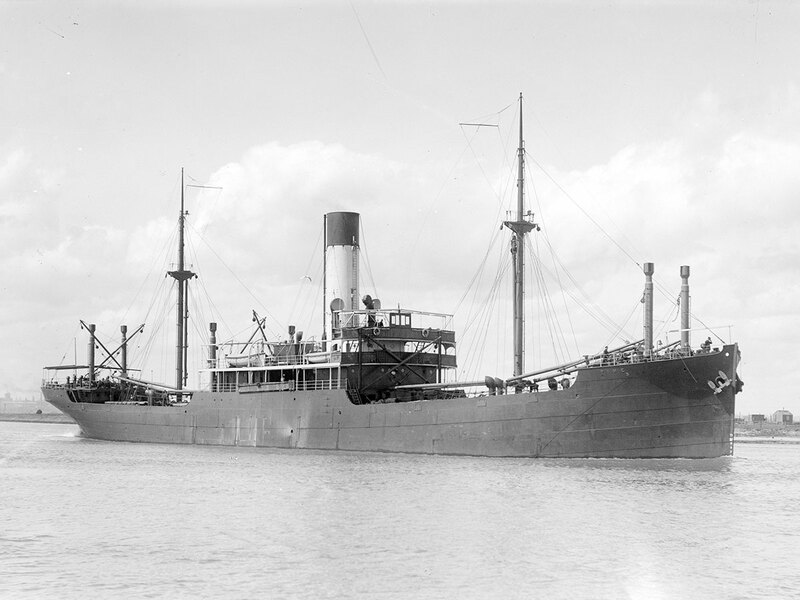 SS Wauchope, Wooden steamship, 269 ton. Depth: 0 to 4 m.
The Wyrallah (aka Wyralla) sank with the loss of six lives at Port Phillip Heads after a collision with the SS Dilkera in April 1924 while on a voyage from Melbourne to Gippsland Lakes. Located in the middle of the rip, and in the fairway of huge ships, given the degree of difficulty of the site, combined with the short window of opportunity for diving, it is rarely dived. The Will O the Wisp is archaeologically and technically significant as the wreck of an opium clipper schooner, i.e. representative of a particular type or design. As the wreck lies in only two to three metres depth, there is good potential for access to the snorkelling and diving public to interpret the site. The wreck is substantially intact, and stands above the seabed, with many artefacts still visible in situ. 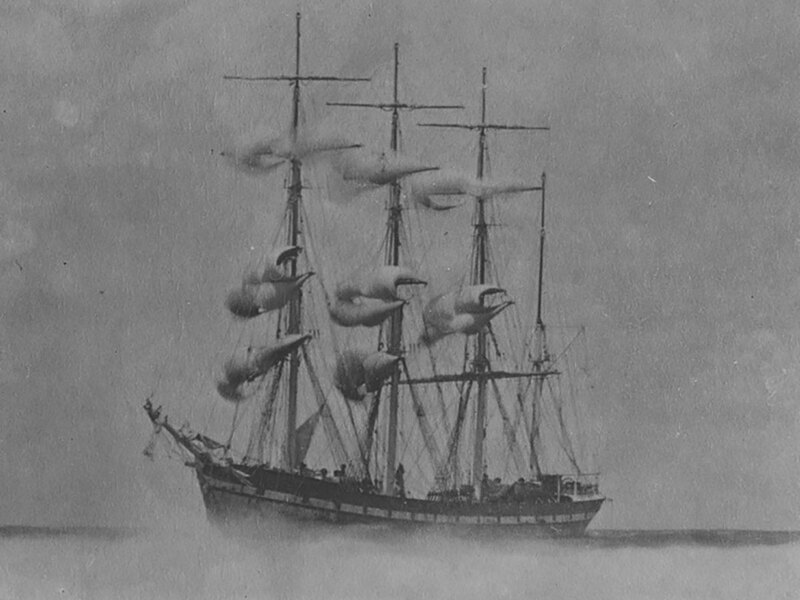 While on a voyage from Auckland to Melbourne, the Will O the Wisp struck the sand bank William Sand, West Channel, Port Phillip, on 8 October 1853. Heritage Council Victoria: Will O the Wisp. The William Salthouse is one of Victoria's oldest and most important wrecks. It was the first merchant vessel to sail between Canada and Port Phillip, just five years after settlement at Port Phillip established, and was flouting British Navigation Laws when it did so. It is archaeologically significant for its evidence of ship construction, cargo stowage and cargo types. It is educationally and recreationally significant as the wreck of an intact wooden merchant ship with its early cargo intact. After a five month voyage from Canada, The William Salthouse was wrecked on Eastern Sands. Part of her cargo of beef, fish, salted pork, and building materials was removed to lighten the vessel. After attempting to sail up West Channel, she foundered 600 metres north east of Popes Eye on 27 November 1841. Divers discovered the wreck in 1982. She appears as a raised sand hill about 3 metres high. While the superstructure and upper hull have collapsed, the lower portion of the hull, along with much of the assorted cargo, lies preserved in the sand. Artificial sea grass mats have been laid around the dune to stabilise the site. This is a very fragile wreck site, and divers are urged to treat it gently. Extreme care must be taken not to disturb any part of the wreck. Built in 1824 in Liverpool, England, sunk on 27 November 1841, the overall length of the vessel was approximately 27.5 metres (90 feet), with a displacement weight of 251 tonne (277 short tons). Dive Information Sheet: William Salthouse (1824-1841) (Adobe PDF | 598.18 KB). The site of the William Salthouse is a historic shipwreck protected zone with a 250 metre radius. A permit from Heritage Victoria is required to dive the William Salthouse. 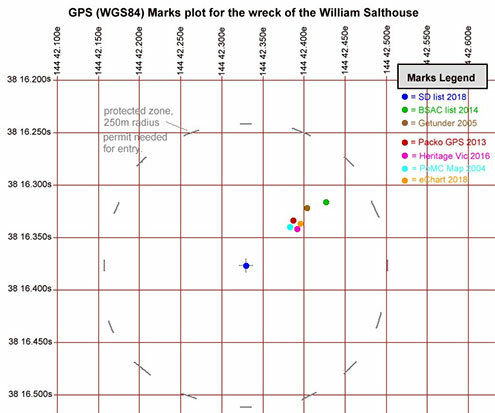 This GPS coordinate plot by Packo shows the spread of the GPS marks from the different sources. Three masted, brig trading ship, 251 ton.